92dB at 1 meter/82dB at 10 ft. 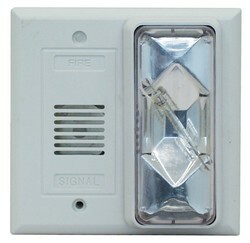 The Edwards 6536-G5 Horn/Strobe is an audible/visual signaling device that may be used in a variety of system configurations including call for assistance applications. 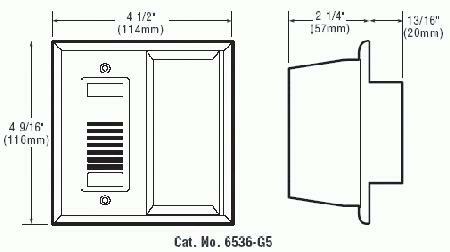 Designed for installation in a single gang 2" (51 mm) x 4" (102 mm) box.